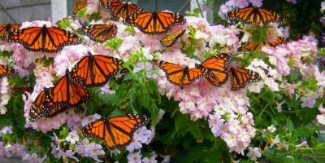 We will be using the Butterfly House and Pollinator Path at the Cape Cod Museum of Natural History to start things off. Then there will be a presentation about pollination in the museum auditorium followed by a 'Walk and Talk' of various gardens around the museum. We will focus on plants that make for the some of the best butterfly and pollinator plants and how they can be used in various garden settings, large and small. We will meet outside the main entrance of the Cape Cod Museum of Natural History.